Our used Trigano Randger 575 LX is shown below, for more information please contact us. If you want to make a step up from tents without going to a caravan then look no further than this Randger 575 LX from Trigano. 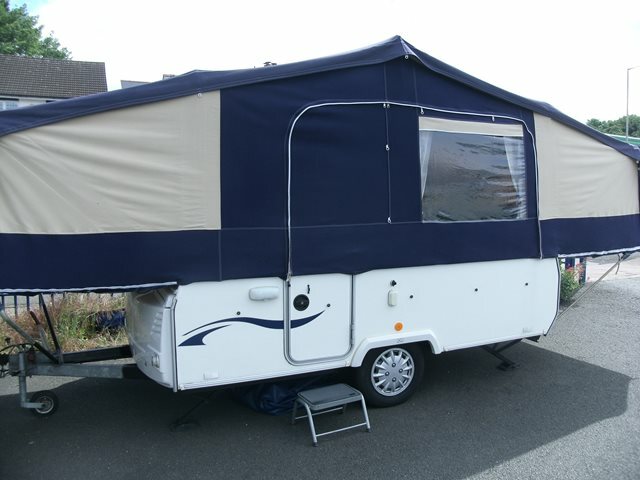 This folding camper is in good condition and is ideal for a family of up to six people. It features two large double beds at either end, a spacious living area which converts to a third double, and the kitchen has 2 gas hobs and grill as well as fridge. For more information please contact us on 01384 413336 and ask for the sales team.